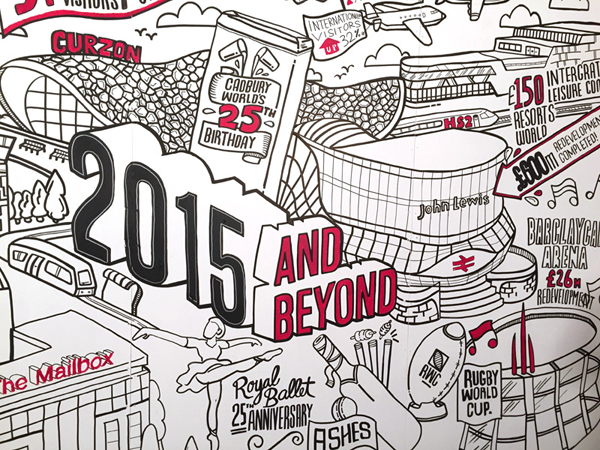 Over the past few weeks I’ve been working in secret with the lovely folks at Marketing Birmingham and HTF Media to create a 20ft wide illustration of everything that makes Birmingham great. 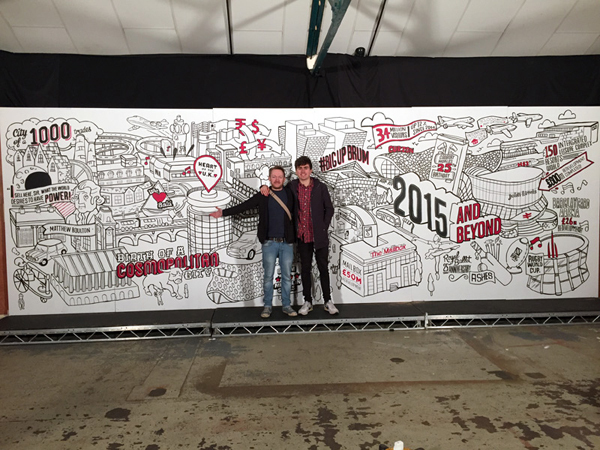 I worked with fellow designer Mattie Lynch for 13 hours straight to create the Birmingham mural. 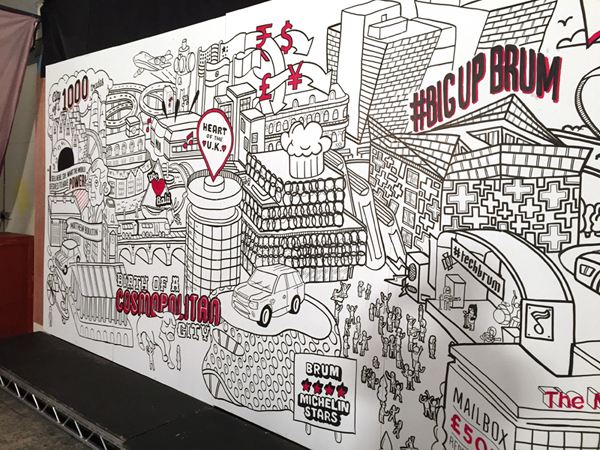 The entire process was captured by video specialists HTF Media and condensed into a 2 and a half minute time-lapse video which was used to introduce Marketing Birmingham’s Annual General Meeting in front of 120 of the city’s business leaders.